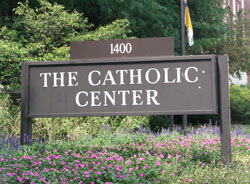 The Archdiocese of Indianapolis has many offices and agencies. Listed below are those that have Web sites on our server. If you are unsure of which office you're trying to reach, call our main switchboard at 800-382-9836. For more detailed listings of all our offices and agencies, go to our staff listings.